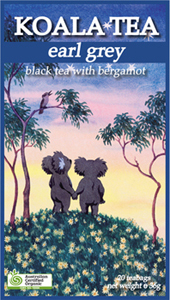 With organic yerba maté, echinacea and olive leaf, this tea is stimulating, anti-viral and anti-bacterial. It helps in building and stimulating a strong immune system. 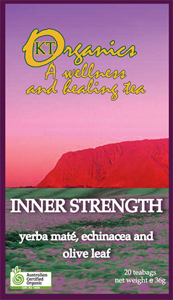 Inner Strength Organic Tea is made with organic yerba maté, echinacea and olive leaf, this tea is stimulating, anti-viral and anti-bacterial. 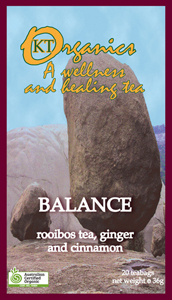 It helps in building and stimulating a strong immune system. Yerba maté contains xanthine, which is said to promote physical energy, to focus the mind and to stimulate mental awareness. 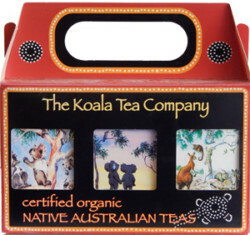 At Koala Tea we drink it every day!